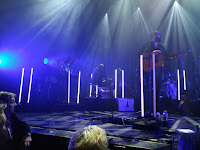 Blaudzun released three albums in one and a half year. Musically and artistically each one can be declared a success. 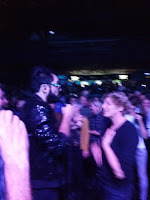 In the fall of 2016 I went to the show following 'Jupiter, part 1' and now following 'Up', which is Jupiter, Part III. Although I still feel Blaudzun set the album apart somewhat. The same band stood on stage, with the exception of the bass saxophone player. Routine is a word usually seen as something negative, but in the case of Blaudzun it is a compliment. The band executed the songs so well. Made the aural storms rise while also taking care of the most delicate passages possible. All so that the frontman Johannes Sigmund can shine. And he did, with so much ease. Winning the audience over, jumping in during the fourth song, making us all jump on the word 'Up' in the same-titled song and letting us sing along. Simply by assisting most people in the audience to let go. Yes, I'm jumping/singing in public, but who cares?, we're all doing it and to a great song as well. Somehow I had the feeling he was looser than ever before, judging shows since the 'Heavy Flowers' tour. 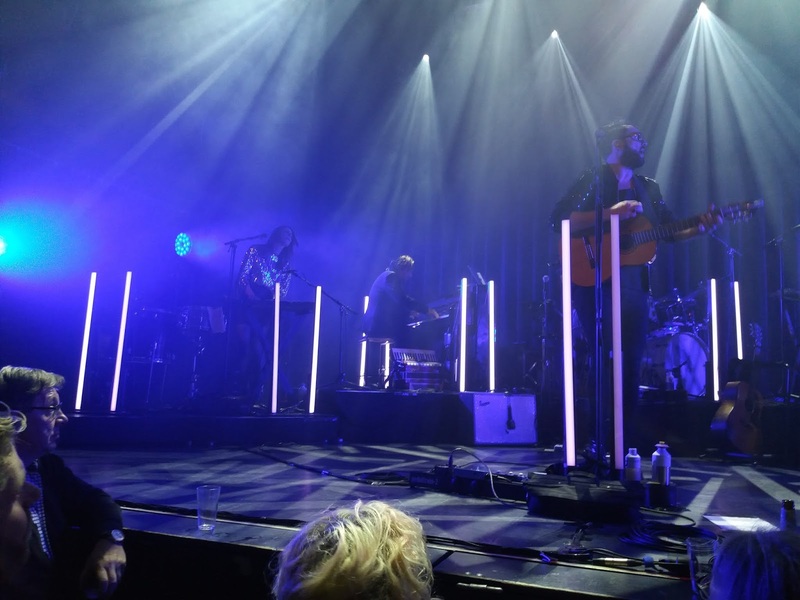 The band took care of it all, because it can play with ease, is master over the songs and the show. The positive kind of routine creating the options to become more than just a good band. Blaudzun is a great band. Of course this tour lent on 'Up' significantly, songs from all albums came by. If anything, it showed how rich a genre the band has built for itself over the past decade. A genre which sets itself apart from most other bands. The music of Blaudzun hardly knows solos on guitar or keyboards. Songs are a monolith from which sounds escape colouring them in differently. The voice(s) and the individual instrument are, nearly always, a part of the whole. All working on a tight rhythm, from which the voices escape. In theory this sounds extremely boring, in practice it works like a miracle. Whether a few piano notes that escape through the rhythm or guitar notes, the whole defines the outcome, not the soloing bandmember setting him or herself apart. When the band switches to delicateness, the audience totally quiet waiting for things to happen, just an acoustic guitar is enough to drive a song. A few notes on a xylophone or piano for support. The effect is 100%. 'Elephants' was a beautiful example, just like the final song, that I did not know, from the second album. 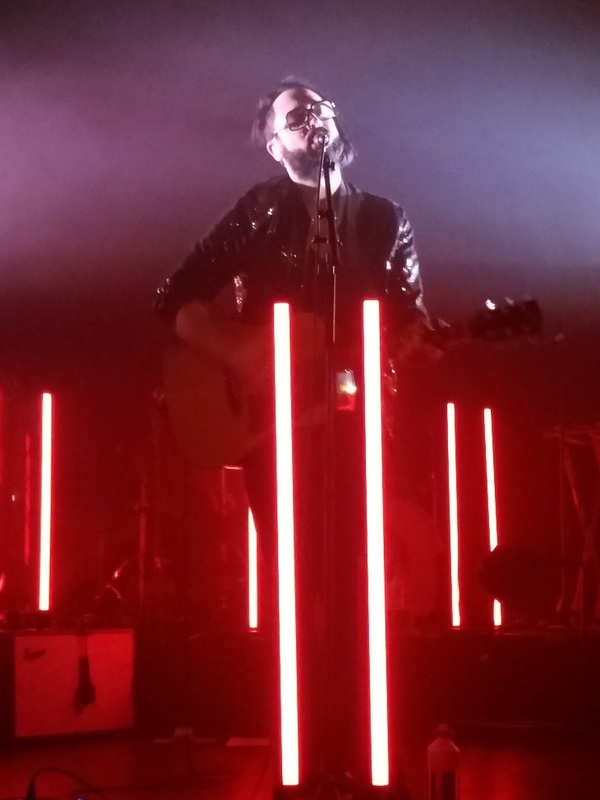 Blaudzun is a master in bringing the audience through all these different moods and back. The ease with which that happens shows the growth the band has gone through. 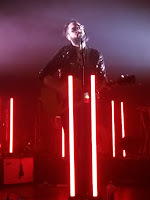 One of the first reviews on this blog was called something like "world beware, Blaudzun is coming", after my first Blaudzun show following the 'Heavy Flowers' album. I still believe that could be true. This band is truly good and more people in the world should find out about it to. One question remains for me. It's on the artwork of the first two Jupiter albums. I feel certain that the two kissing men on the cover are a Piccaso-ish impression of Steven Tyler and Mick Jagger. Can anyone shine some light on this?